Congratulations to the following teams who won Outdoor Track and Field State Championship Titles this past weekend! At State Track Championships in Cullman – Winfield High School and Whitesburg Christian won state track championships for the second year in a row as the 92nd annual AHSAA State Outdoor Track and Field Championships concluded at Cullman Saturday. Coach Steve Reaves’ Pirates totaled 97 points to win the Class 3A boys ‘ title. Montgomery Academy scored 64 to finish second and Greensboro (50) was third. Whitesburg Christian’s girls, coached by David McConnell, won their second consecutive Class 1A outdoor title with 109 points to edge Westminster of Oak Mountain, which totaled 103. St. Bernard was third with 98.50. St. Bernard, coached by Steven Calvert, also captured the boys’ state title with 138 points. Marion County finished second with 98, and Linden was third with 53.50. Claiming the Class 2A boys’ championship was Cold Springs, coached by Claborn Campbell. The Eagles had 139 points and runner-up Falkville had 109.50. LaFayette was a close third with 102. Coach Corey Thornton’s LaFayette took home the Class 2A state crown scoring 110 points. Falkville had 96 to finish second and Mobile Christian was third with 83. T.R. Miller, coached by Eddie Brundidge, was the Class 3A girls’ champs scoring 89 points. Cottage Hill Christian was second with 70.75. It was the third state title for T.R. Miller since 2011. Winfield junior Trey Cunningham shattered his own Class 3A 110-meter hurdles record (14.18) set in A015 Friday with a 13.42-second time in the prelims. Saturday, his winning time of 13.50 seconds in the finals fell just shy of the prelim time but gave the Pirates standout the best three Class 3A times in the event’s history. The 13.42 now ranks as the fastest in the AHSAA state meet in any classification. He also breezed to the 200-meter dash win with a winning time of 21.82 seconds, and leaped 22-08 to win the long jump – giving him 40 points and four golds for the state meet. Shades Mountain Christian senior distance runner Dylan Pausic also broke a 31-year old Class 1A record with his 9:39.78 time in the 3,200-meter run Saturday morning. Athens Bible’s Jeff Harwell set the previous mark (9:51.06) in 1985. Pausic, 5-foot-6, 135 pounds, also won the 1,600 meters on Friday to give him a sweep of the 1A distance events. Piedmont senior Karri Green, who set the 3A state record in the 400-meter dash Friday, won the 100-meter hurdles in 14.90 – just missing the record (14.23) set in 2005 by Leeds’ Bridget Rose. She followed with another record-setting effort in the 200-meter dash. She ran 24.97 to eclipse the previous record (25.10) by Simone Pugh of Cottage Hill in 2009. At State Track Championships in Gulf Shores – UMS-Wright captured is eighth straight AHSAA Class 4A state boys’ track title in a row Saturday as the 92nd annual championships concluded at Gulf Shores Sports Complex. Coach Pat Galle’s boys posted 86 points to edge runner-up Dadeville (82) by four points in what turned out to be one of the most competitive outdoor state track and field meets in the AHSAA’s long history. The Bulldogs now have 22 boys’ championships. UMS-Wright’s girls also won the 4A girls’ title with 138 points. Brooks was second with 89. It was the Mobile school’s 15th overall and sixth in the last seven years. Hoover won the Class 7A girls championship scoring 171 points – doubling runner-up Mountain Brook’s 84 points. Coach Devon Hind’s Lady Bucs have won the big-school state crown sixth of the last seven years and own both 7A titles. Homewood, coached by Thomas Esslinger, won its third 6A state girls’ championship in a row scoring 102.50 points with runner-up Pelham right behind with 98.50. Walker was third with 82.50. St. Paul’s Episcopal’s girls, coached by Jim Tate, took first place in Class 5A with 123 points. Beauregard finished second with 90. On the boys’ side, Coach Dan Norton’s Auburn Tigers won the 7A state championship for the second year in a row outscoring runner-up Hoover 130-95. Hewitt-Trussville was third with 94 points. Opelika, coached by Jimmy Johnson, also won the 6A boys’ title for the second straight year. The Bulldogs had 113 points and runner-up Homewood, 70. Thompson High School senior Emmanuel Tait captured firsts in the 110-meter hurdles, 300-meter intermediate hurdles and 100-meter dash – besting his own Class 7A records in each event. He won the 110 hurdles with a winning time of 14.0 seconds – 12/100ths of second better than the 14.12 time he had last year in the 7A competition. He broke that record Friday, however, in the prelims with a 13.90 time. He broke his own 7A record (38.83) in the 300 hurdles with a 37.90 time in Saturday’s finals. Triaon Poellnitz of Auburn (38.27) and Marion Humphrey of Hoover (38.30) also bettered Tait’s 2015 record to finish 2-3. Tait clocked 10.93 to win the 100-meter finals Saturday – giving him 30 points personally in three individual events. Brittley Humphrey of Hoover tied her own 7A record with her 42.46-second winning time in the 300-meter hurdles, and broke her own 7A record (13.74) in the 100-meter hurdles with a winning time of 13.49 seconds. Teammate Caitlyn Little was a close second at 13.79. We are proud to provide sports medicine for these 6 State Championship teams! Cullman Encore Athlete of the Month, Tyler Rice. Congratulations to the Cullman Encore Athlete of the Month, Tyler Rice! Tyler is a Senior, multi-sport athlete at Cold Springs High School in Bremen, AL. He has played Baseball for 6 years, Basketball for 4 years, and Football for 2 years. You’ll find him wearing jersey numbers 17 and 11. Tyler came to us after he tore his right and left ACL in a spring game last year. He wasn’t able to play any football this past season; however, for his Football senior night game, they let him dress out and play for one snap. Then last December, he got cleared to play baseball. His hard work has payed off and he has quite a few sports awards, including the Baseball All-County award for the past 3 years and the All-Area award, Basketball Area Championship for the past 3 years and the County Championship awards, as well as the Football All-County award. After Tyler graduates, he plans to attend Wallace State for 2 years and then transfer to UAB to become a nurse practitioner. We’re proud of you Tyler! Cullman Clinic Athlete of the Month, Rilee White. Congratulations to Rilee White who was chosen as the Cullman Clinic Athlete of the Month! Rilee is a 17 year old, Junior at Cold Springs high school and is an outstanding multi-sport athlete as well. 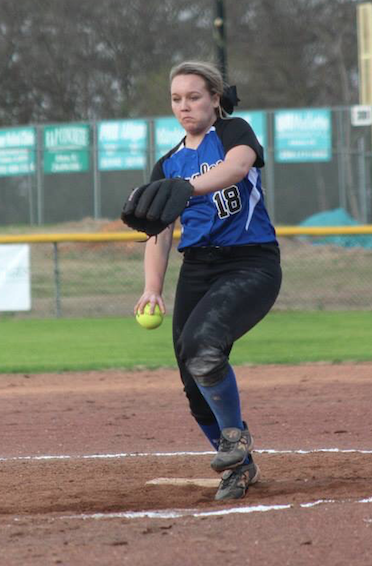 She is a member of the Lady Eagles softball and basketball teams, and wears the jersey number 18. During her sports career at Cold Springs, she has racked up quite a lot of accomplishments and awards. A few of her top awards consist of Cullman County All-County Player, All-Area Player, Cullman County “Pitcher of the Year”, Elite 8 Tourney, WKUL All Performance Team, but there are many more. Her batting average this year is .531 with 4 home runs, 14 RBIs, 16 runs scored and a 1.40 ERA with 43 strikeouts! WOW! Apart from her sports career, Rilee excels in her classes with a 3.9 GPA and is attending Snead State after graduation. She is the daughter of Jason and Shannon White. Keep up the good work, Rilee! Good luck your senior year! Cullman Encore Athlete of the Month, Brittany Hopkins. Congratulations to the Cullman Clinic Encore Athlete of the Month, Brittany Hopkins! Brittany is a senior at Cold Springs High School and #11 on the Volleyball team. 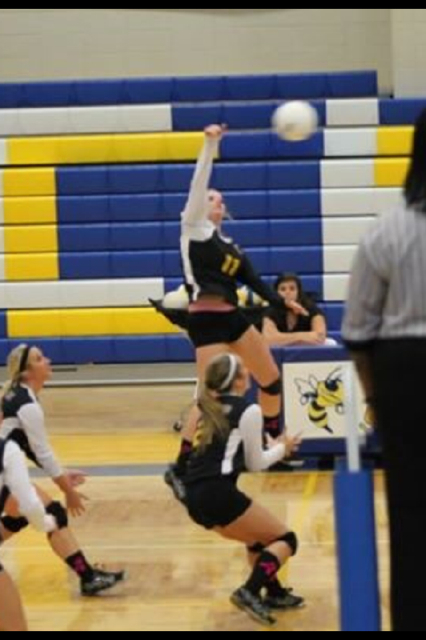 A few of her accomplishments include the following: kills- 238, aces- 33, digs- 62 and was named Corner invitational MVP. Good luck this season, keep up the good work!